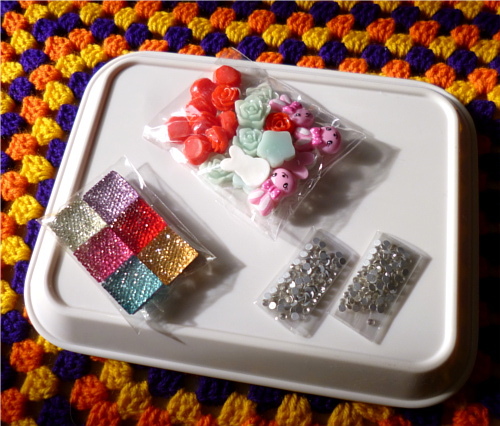 Yesterday I was moving some stuff around in the hobby room, and I came across a haul of decoden supplies that I'd bought from MissSapporo on Etsy last year and never done anything with. 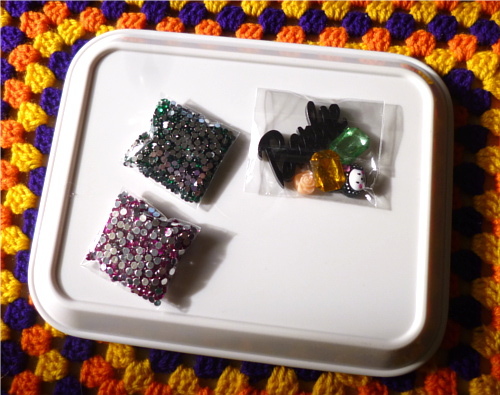 I must be in a very crafty mood at the moment, because I had a sudden urge to deco things, straight away! The parcel arrived very fast from Japan. 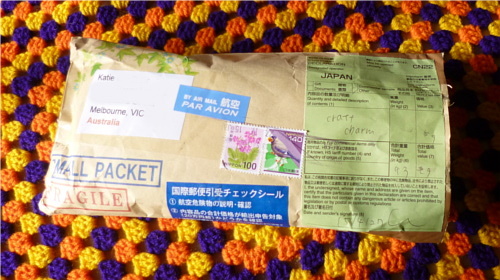 In fact, everything I order from Japan comes amazingly fast, compared to the U.S. and even closer places like China and, ahem, other parts of Australia. Everything was parcelled up very carefully with bubble wrap, and there was a lovely note. From the words Yuriko had written, it was clear she remembered me from last time. It was really lovely. 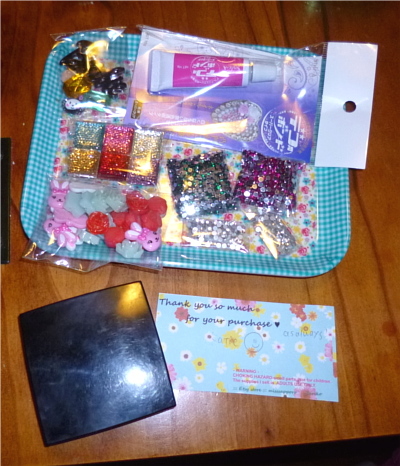 Along with my order, there was a little parcel of extras! I wouldn't order anything Barbie-themed normally, but I loved the other items. Yuriko also has another Etsy shop dedicated to fabrics, which I have ordered from once and had the same wonderful experience. She also seems to have regular sales and discount codes available. I would definitely recommend purchasing from her! 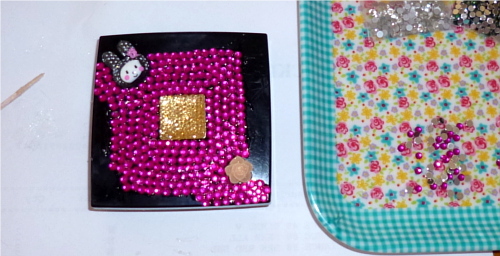 Now for the decoden project. I needed something to decorate, and fast! I chose this powder compact from Daiso. 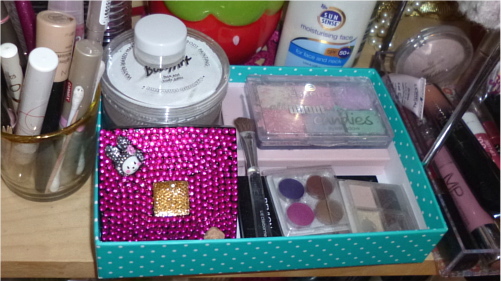 Even though it's a cheap compact, it works really well for me, so I can see it being in my life until it's all gone. 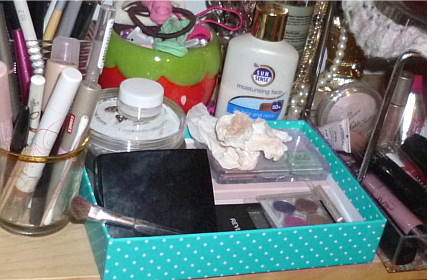 But as you can see, it's in a prominent spot on my makeup stand, and it's boring! Gathering my supplies. I used a toothpick to apply the glue in small patches. 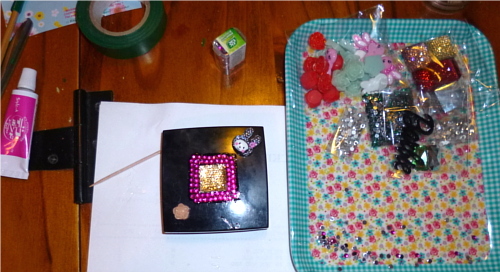 I made myself a gem picker with a chopstick and some gaffer tape, but I ended up using the toothpick to place the gems as they were so small. Getting there! I was working on our coffee table, and leaning over became a bit painful after a while! It was getting quite late by this point, so I left the rest for the next morning. Finished! 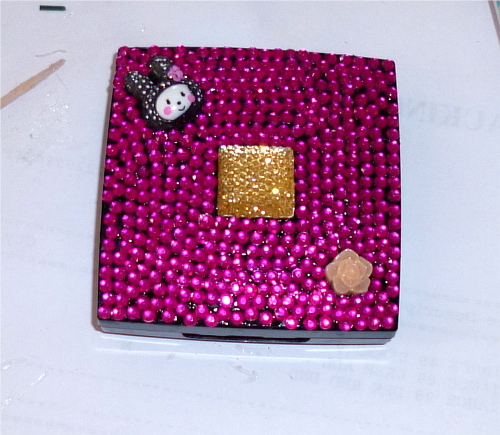 The gems were a bit uneven on the edges, but I don't think it looks too bad. Next time I think I'll start at the outside edge and work inwards.